Pop provocateur M.I.A. has just released a new mixtape called……. Vicki Leekx. Featuring the usual cast of electro-tropical producers such as Switch, Rusko, Diplo and Munchi, the free to download mix also contains songs from her latest album //Y/ alongside previously unheard tracks. Initially credited to M.I.A. and Nguzunguzu, the Vicki Leekx website is now only mentioning M.I.A.’s name. We are not quite sure why that is, but it is still a darn good mixtape – perhaps one of the moodier ways to ease yourself in to the first working week of 2011. 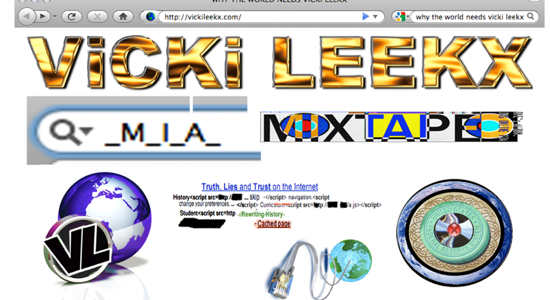 You can download the Vicki Leekx mixtape by following this link.